FAQ's - Cannon Bar Works, Ltd.
Why are Cannon Bars so much better than other bars? Please view the following PDF: “Why Cannon Bars“? Does Cannon Make Custom Bars? Yes we do, but the customer needs to send us a sketch or drawing of the bar they want us to build. There is a onetime charge for custom designs which is typically between $100.00 and $300.00. Once a custom bar has been designed a deposit of 50% of the quoted price is required prior to production. Delivery time is typically eight to twelve weeks from receipt of order. 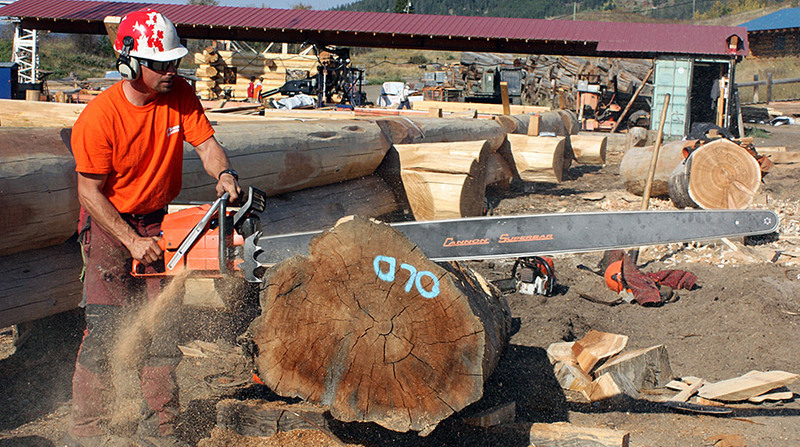 Does Cannon Make Bars for Vintage Chainsaws? Yes we do, but they are made to order and a 50% deposit is required prior to production. Delivery is typically eight to twelve weeks from receipt of order. Why do Cannon Bars Cost so Much? Each bar is handcrafted and built to the highest quality standards. When you consider that a Cannon Bar will often out last a mass produced bar by three or more times you can see why they really are less expensive over the long run. See the “Why Cannon” write up. Can I Buy Directly from Cannon? We refer all of our sales through our dealers who are there to make sure you are getting the right bar for your application however you are always welcome to contact us for information and help in selecting the correct bar. Who is a Dealer Near Me that I Can Buy From? Please refer to the stocking Super Dealer locator on our website. You can also have your favorite chainsaw dealer contact us and order a bar in for you. Try Our Bar Finder To Find Your Bar!